One of the most common problems raised by common ownership in working life is the problem of common partners' use of common money. Less common money is common for use, so it is essential that partners agree on a common money management method. Consider among the partners in the management and exploitation of common money, forcing some partners to take part of the common money agrees with his ability with his share and identify himself Returning to other partners The method of using this part of the common money is based on this part based on exploiting it alone. This behavior is irritated by the partners remaining and pushing them to claim their rights to remove the building that was built without their consent or to claim partnership with this partner. Revenue. Although the Iraqi Civil Code set forth special provisions dealing with the management of common money, these texts have been interpreted in a wide disagreement about the ruling of the behavior of a partner to build on a part of the common thing is equal to the common share, especially during the state of communion and before the division. The research of the problem requires addressing - albeit briefly - the rules governing the validity of the conduct of the partner to benefit from common money. The second paragraph of Article 1061 of the Civil Code stipulates that: "Every partner in common has a common share of his property and has the right to use it and exploit it so as not to harm his partners." common share or exploitation by the partner does not result in harm to the other partners . The text of the second paragraph of article 1061 states that it gave the partner the right to use his common share and exploit it. This is critical because the right to use and exploit is based on the common thing itself and not on the common share which is conceptual. The use of the common thing as much as its common share, if the common money accepted the nature of the common use was not and the Turabb it, and that the money is common way, the other partners the right to pass it, and no one to exit in use for the purpose prepared for him if built in it, It was a fishing pond used by the Glossy in it, though it took all wells partners from him drinking water and so on. If the common nature of the money is not acceptable for common use, the use of the partner for the common thing must take one of two forms: the first to ride using the common thing, and the second to use a certain part of the common share. In both pictures, it constitutes an assault on the rights of other partners. By using it alone for all or part of the common thing, the rest of the partners are prohibited from using all or part. And consequently a disruption of their rights. half and age and where the partner is considered foreign in the share of his partner and has no right To deal with the joint money without the consent of the rest of his partners, the plaintiff deducts part of the house and build on it of its money that it is true that does not prevent the rest of the partners from disposing of all the common house so the distinguished judgment to refund the claim of the plaintiff in favor of the law in terms of outcome decided to ratify it, The establishment of the enterprises for which it claims to establish its property shall be sought if it has a right to do so. " It also ruled that: (If the partner is created on the basis of the joint king with the consent of the partners, returned to them by the amount of each share of each of them, but if not obtained permission to build is the ex-foreigner's right and the partners have the right to ask for the construction or ownership is eligible for the castle if it is harmful to the land, The sale of the property has the partners the value of the building, so they have been satisfied with the survival of the buildings and in this case if they refund the partner the value of the building that he created as a receivable for the castle (5). It also ruled in its decision on 15/5/2011 to support the ruling of the Court of Appeal, which supported the ruling of the Court of First Instance, the judge oblige the defendant to remove the excess of the common property of the commercial store built on the property common by the partner without the consent of the other partner, Which states: (It was found that the ruling is valid and true to the law for the reasons on which it was based to prove the real estate interest subject to the parties in common under the title of the property and the legitimate sections of the lawsuit and the defendant's characteristic events of the common money is a shop, During neighbor detection By the surveyor of real estate registration and the profile organized by him as well as to acknowledge the distinctive defendant without the consent of the partners, and as each one of (6) The foreign partners shall share in the share of the other and shall not act in any way against him without his consent, and the construction of the common king without the consent of the partners is harmful to him. .
of the non - but one of the partners without Its partners are authorized, it is not valid for other partners to take out the Hadiths, but they have the right to claim compensation as compensation for them because they have been denied access to their shares by other partners. If such compensation is not compensable, The ruling of the Court of Appeal has ended in support of the prima facie ruling which includes the response of the plaintiff (the privileged) for another reason. The ruling is in accordance with the law in terms of the result. 1433, 28/2/2012). 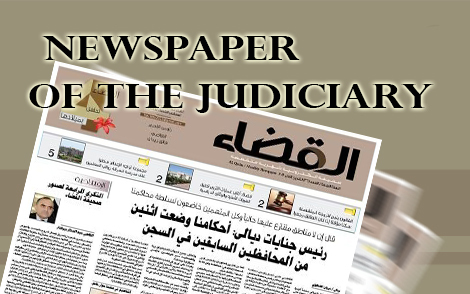 This new approach to the distinguished Iraqi judiciary is not justified by the truth of the law according to our point of view. It is an effort based on an interpretation that does not conform to the legal principles on which the legislator regulated the use of common money and does not agree with the legal organization of the entire right of property and the suits that protect this right. In the common money can not allocate himself part of the eye to build on it without the consent of the other partners, where the other partners have the right to sue for compensation (reward) on the basis that the hands of the builder on the part produced by the right, And the misrepresentation of the error images ensues And in accordance with the provisions of Article (1063) of the Penal Code, Of article 1063 is to compensate for the violation of the most sacred rights recognized by law, which is the fixed property right of the other partners to the common money, so the law first requires lifting the excess, not recognizing it and legitimizing it. Use of their right to a thing Common. Other partners may also file claims for possession of the partner who has been or is trying to take possession of the building in the common eye or part thereof. 1 - If the partner is constructive in the joint property, and therefore does not apply the text if the partner to cultivate the common ground or planting trees or drilling a well or a monument pump ... etc. 2 - The common king is divisible, and the common denominator is divisible if the division can not miss one of the partners benefit before the division (M 1072/2 Iraqi civilian), and therefore does not apply the text if the land can not be divided in advance. 3. The partners are not required to divide the common money. If the partners request to divide the common money, then the fate of the building depends on the result of the division, if that construction hit the share of his property, and hit the share of another partner, the latter may cost the builder demolition if he does not want to own the building value worthy of the castle. We also benefit from this provision that the legislator is an agent of the builder without the permission of the other partners to treat the bad-intentioned builder, but in order to preserve the construction because of its economic importance on the one hand and to encourage the partners to request the common division of property, the common property is an abnormal property that raises many problems on the one hand (8) This means that the general rule that construction without the permission of other partners in the land can not be divided may not open the door to other partners to demand the removal of the building with the claim for the equivalent of the duration Where the building remains without being Are forced to wait for the result of division to demand demolition of the building. Therefore, we hope that our civil judiciary, represented by the distinguished Federal Court of Cassation, will abandon its new orientation and not implement it in its proper legal scope, ie, within the scope of Article 1123 of the Civil Code, and refer to its previous orientation as a general rule for its agreement with the true law and God behind the intent. , P. 140, Tawfiq Hassan Faraj, Original Rights in Kind, 1991, p. 224, para. 109. - See the doctrine referred to in the previous margin. - Resolution No. 2080 / Human Rights / 56 Ramadi on 11/6/956, Salman Bayat, Iraqi Civil Judiciary, 1962, C2, p. 460. - Decision No. 128 / Human Rights / 56 Mosul on 26/2/956, Salman Bayat, c. 2, p. 463. - Decision No. 183 / M 2 Property / 1973 on 26/6/1973, Judicial Bulletin, second issue, fourth year, p. 3. - Decision No. 1998 / Appellate Body / 2011 on 18/5/2011, Journal of Legislation and Judiciary, Fourth Issue, Third Year, p. 231, See also: Decision No. 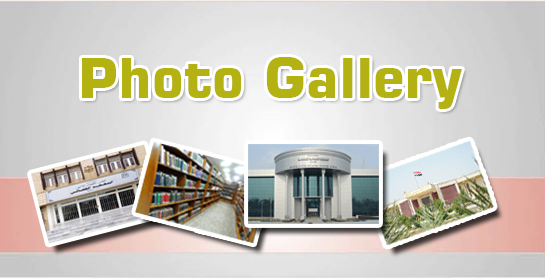 376 / Appellate Body Real Estate / 2009 On 29/1/2009, Journal of Legislation and Judiciary, No. 3, 2009, p. 137, and Decision No. 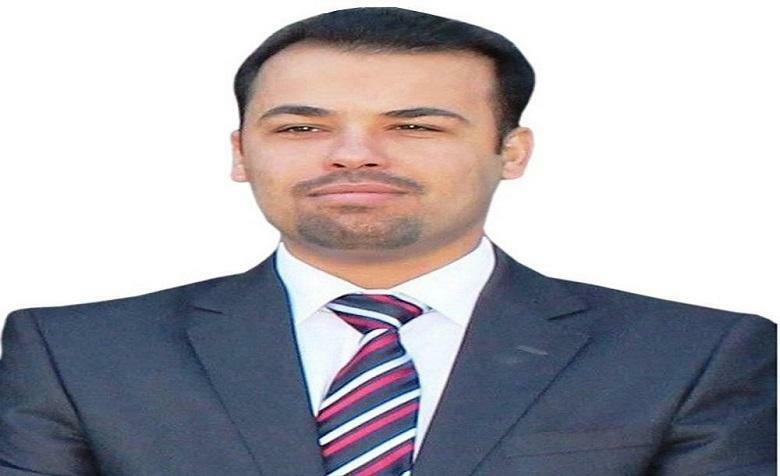 1927 / Appeals Panel Real Estate / 2008 on 10/3/2008, Iraqi Civil Code, Hadi Aziz Ali, 2015, p.